Juan Mata helped Chelsea strengthen their grip at the top of the Premier League in a six-goal thriller against Spurs. It turned into an unhappy reunion with his former club for Spurs boss Andre Villas-Boas, who was unceremoniously axed by the Blues back in March, as the hosts hit back from going a goal down to lead early in the second period, only to eventually succumb 4-2. Gary Cahill, called into the side as Terry served the first game of his four-match ban for racially abusing Anton Ferdinand, produced a sweet volley to give his side the lead in the 17th minute. William Gallas could only head a Chelsea corner out to the edge of his own box which Cahill lashed home first time beyond Brad Friedel, with the ball taking a slight deflection off Steven Caulker before finding the back of the net. 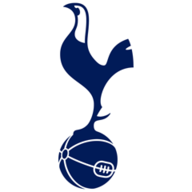 But Gallas made amends immediately at the start of the second half as he turned the ball home from virtually on the goalline after Jan Vertonghen did superbly to put Tom Huddlestone's free-kick to the far post back across the face of goal. It was the first time Chelsea had conceded a second half goal in a Premier League game this season, and they were soon breached again as Jermain Defoe reacted superbly to drill a first-time effort beyond Petr Cech after Aaron Lennon's scuffed cross-shot. The enthralling contest continued to ebb and flow, with Mata finding the bottom corner of Friedel's net with unerring accuracy from the edge of the box after another poor clearance from Gallas following Oscar's low cross. And Chelsea were back in front in the 66th minute as a flowing passing move started by Mata and involving John Obi Mikel and Eden Hazard ended with the Spain international grabbing his second of the game with Friedel again helpless. Kyle Walker forced Cech into a superb save as time ran down, before lapsing in defence and allowing Mata a free run into the box where he squared for substitute Daniel Sturridge to slot home. Villas-Boas had claimed personal vengeance was not a motivation for him in the run-up to this game, and he did not look crestfallen at the final whistle. Yet the Portuguese, who turned 35 this week, must be hurting inside after seeing his team blow an opportunity to tear up Chelsea's unbeaten run and show Roman Abramovich he was wrong to cut short his "project" at Stamford Bridge. It was all smiles for the former Chelsea boss at the kick-off. He shared handshakes and hugs with the Chelsea staff after emerging from the tunnel, but his smile soon disappeared. 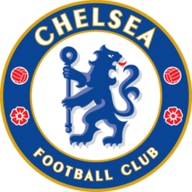 Chelsea started strongly and took the lead in the 17th minute when Gallas' poor header fell straight in to the path of Cahill, who fired a bullet volley beyond Friedel. Cech did well to parry a low Defoe drive but Spurs were poor and both Lennon and Defoe were wasteful in front of goal. Gylfi Sigurdsson offered a brief glimmer of hope when he shot a yard wide - but Chelsea should have doubled their lead moments later when Mata picked up a rebound from his original shot at Friedel, but he skied well over from 10 yards. Tottenham started to lose their discipline, with Gallas and Kyle Walker both seeing yellow for rash challenges. However, the hosts started the second half brightly and they levelled within 65 seconds of the restart when Vertonghen hooked Huddlestone's free-kick across the box and Gallas nodded in from one yard. Spurs looked a totally different side to the one that waded slowly through the first half, launching wave after wave of flying attack. Sigurdsson tested Cech with a powerful shot and saw another deflected effort fly just over. Villas-Boas remained calm, but he was soon off his bench punching the air again when Defoe snuck in between two defenders to clip the ball past Cech from Lennon's pass. It was his 200th career goal. Cole thought he should have had a penalty when he went down under pressure from Gallas, but the referee waved play on. Spurs threw everything at the visitors, but they could not beat Cech again and Chelsea made them pay with two crucial goals from Mata in four minutes. First the Spaniard latched on to Gallas' poor clearance to beat Friedel and he then lost the Tottenham defender soon after to latch on to Hazard's pass and make it 3-2. "That's why we're champions" shouted the fans of the Chelsea team whose victory in Munich denied Tottenham a place in the Champions League last year. Only a top save from Friedel prevented the Spaniard completing his hat-trick moments later. Villas-Boas looked to Emmanuel Adebayor for inspiration, the marksman coming on for Dempsey with 17 minutes left. The former Arsenal man made an immediate impact, nodding the ball to Sigurdsson, but despite some excellent skill, the Iceland international could only shoot over. Torres curled a chance to put the game to bed wide with four minutes left and Adebayor stabbed at a chance soon after when Cech spilled the ball, but the Chelsea stopper smothered the ball. Sturridge, a late replacement for Oscar, made the points safe in the 91st minute - and the away fans taunted "Andre, what's the score?"